Transform your Cosatto Woosh XL stroller (sold separately) into a parent-facing newborn pram with the addition of the coordinating Woosh XL carrycot. Woosh XL carrycot is a perfect fit. Simply place the seat unit into full recline and extend the calf support. 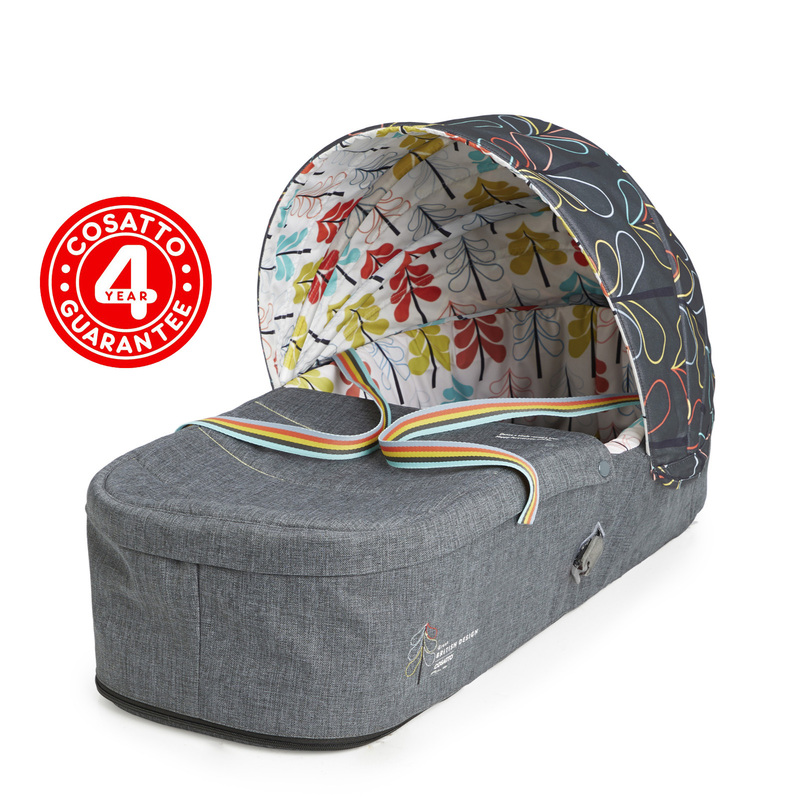 It’s designed with your little one in mind, with baby-pleasing patterns in the hood and an ultra-comfy mattress. 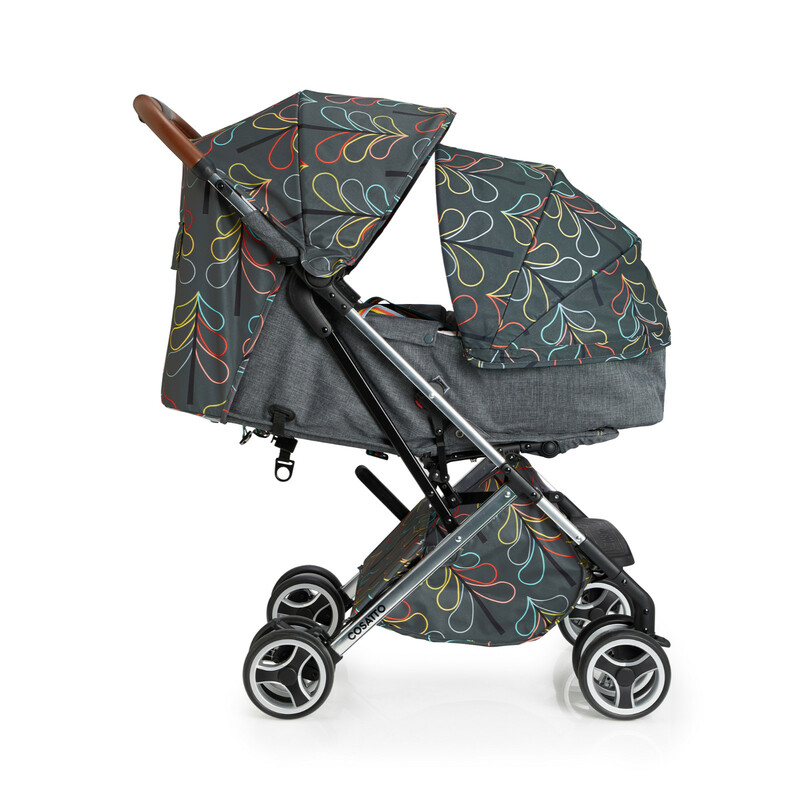 Suitable from birth up to 9kg, then remove the carrycot and see the world in stroller mode. Clips onto Woosh XL pushchair for pram mode. Crafted with our engaging, baby-pleasing patterns in the hood, Woosh XL puts your baby at the heart of the story. With industry leading 4 year guarantee for your peace of mind.